PLAY ON: Crowd-pleaser Ernie Smith brings the stage magic at last Saturday's show. (Inset, Limonius). 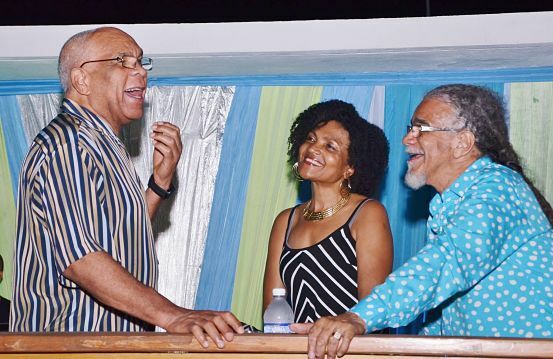 Below, Dr. Omar Davies, Carlene Davis and Tommy Cowan enjoy the vibes. Cherine and her ROC Foundation chose the venue to host last year’s Roc Kids Fest. Kevin Downswell found it the ideal spot for the launch of his book The Search Continues and accompanying live concert in July. Various Corporate Area firms have relied on the place’s relaxing, people-friendly vibe to set the atmosphere for their company events. 5 Keesing Avenue, the headquarters of Alternative Music Limited and their increasingly popular concert series Keesing Live, has been in the spotlight a lot lately, attracting noted music personalities who find its spacious concert grounds and recording facilities to their exacting tastes. (Romain Virgo is a regular.) But the live music show has become the biggest draw. Though they’ve been garnering major buzz and a steady stream of hosting gigs, Alternative Music’s general manager and resident chanteuse Charmaine Limonius is far from satisfied. The way she sees it, the level of media support or their events leaves a lot to be desired. Add to that the absence of sponsors willing to take a leap of faith with them. “That’s been our biggest challenge – to get sponsors on board and draw in a bigger audience for Keesing Live. 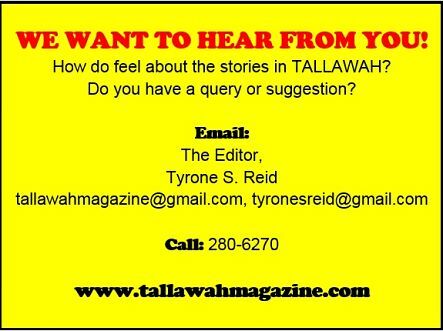 But in spite of that we’ve come a long way,” Limonius tells TALLAWAH as we catch up at the Knutsford Court Hotel one breezy Wednesay morning. 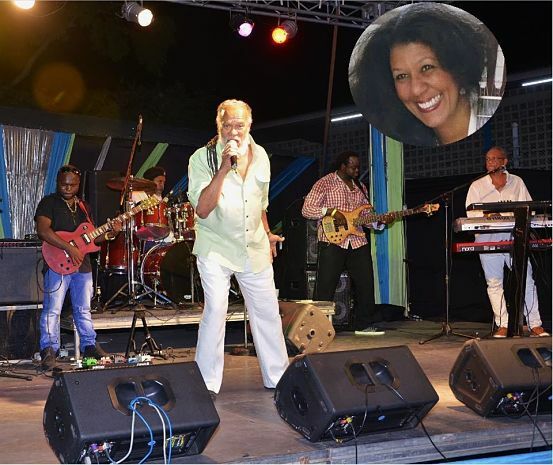 It’s a few days before their final show for the year, which featured legends like Ernie Smith and luto Shervington, alongside a supporting cast of established and emerging reggae and lover’s rock artistes.